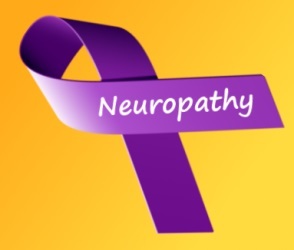 Neuropathy Awareness Week 2014- What is Dysautonomia? What is Dysautonomia? A disorder of the autonomic nervous system (ANS), and for Neuropathy Awareness Week 2014 (May 13-17), let’s find out more about this disabling condition affecting millions of people, and linked to so many debilitating illnesses. If you suffer from dysautonomia, then get out your purple ribbon. Neuropathy Awareness Week 2014 (May 13-17) has begun, and it’s important to educate people about the signs and risk factors associated with dysautonomia, which represents a breakdown of the autonomic nervous system- sympathetic and parasympathetic. Dysautonomia defines a host of illnesses that occur as a result of autonomic nervous system malfunctioning, or as a secondary side effect. Your ANS controls all your major bodily functions that occur in the background- things like heart rate, digestion, blood pressure and body temperature are all examples of round-the-clock tasks that our autonomic nervous system regulates while we’re busy working, sleeping, or eating. Neuropathy (nerve damage) in the autonomic nervous system results in symptoms of dysautonomia. What are symptoms of dysautonomia? Many conditions are linked with dysautonomia, such as diabetes, POTS, and Sjogren’s Syndrome. These occur when your body reacts inappropriately to trigger, such as weather, stress, or food. Metabolic disorder and thyroid disorder are also forms of dysautonomia that many people struggle with. Common symptoms of dysautonomia include dizziness, weakness, brain fog, erratic blood pressure, and stomach ailments. Neurocardiogenic syncope (fainting), the most common type of dysautonomia, affects nearly 22% of all people. Dysautonomia can be primary or secondary. According to Dysautonomia International, there’s no cure for the disorder itself. Still, secondary illnesses that occur (such as diabetes, hypertension, Sjogren’s Syndrome) can be treated through medications, lifestyle changes, and supplementation of vitamins and minerals that increase energy and promote healthy nervous system functioning. Have you been diagnosed with a form of dysautonomia? What do you do to control symptoms?